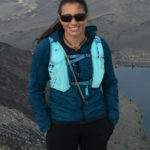 If you’re traveling to the Mammoth Lakes area and are interested in purchasing Personal Training sessions at Snowcreek Athletic Club, contact us. Alana Levin Love what you do. Work hard. Play hard. Be smart. Move your body. Be authentic. Live with integrity. Tiffany Noel Envision who you want to become and then take yourself there. Denise Barger Strive to be the best version of you. Help others do the same. Love life! Get outside and play. Debbie North Move well. Eat well. Live well. Age is just a number. Defy expectations. We offer sessions in resistance and cardio training, yoga, sports conditioning and nutrition. 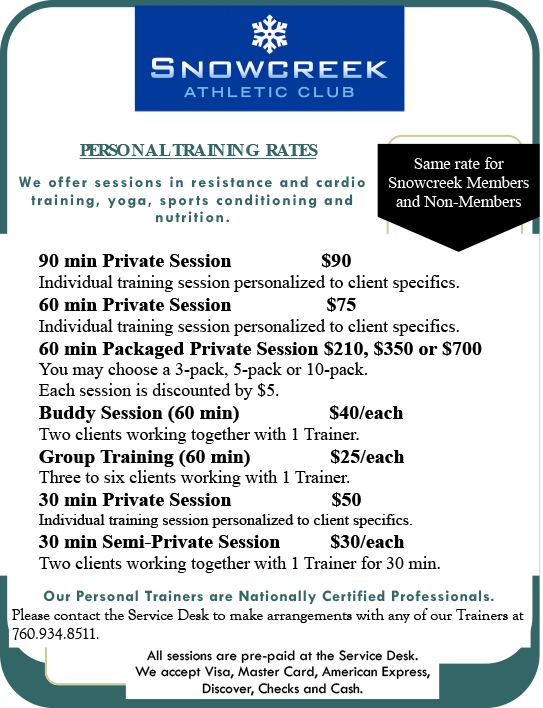 Our Personal Trainers are Nationally Certified Professionals. All sessions are prepaid at the Service Desk.